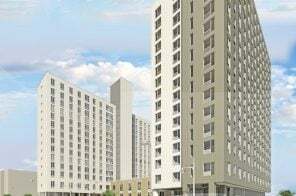 The city announced last November plans to commission a permanent statue in Brooklyn of Shirley Chisholm, a Bed-Stuy native who became the first black woman to serve in the House of Representatives. 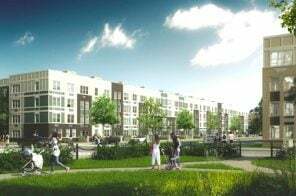 On Wednesday, the Department of Cultural Affairs unveiled five finalist design proposals and asked the public for feedback. 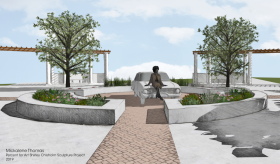 An artist will be selected next month, with the monument, which will be placed outside of the Parkside entrance to Prospect Park, completed at the end of next year. The statue of Chisholm will be the first monument constructed under the city’s She Built NYC! 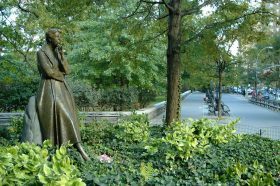 initiative, which aims to increase the number of public monuments dedicated to NYC women. Currently, just five of the city’s 150 statues are of women. New York City is commissioning four more statues of trailblazing women as part of a campaign to address the inequity of the city’s public spaces. 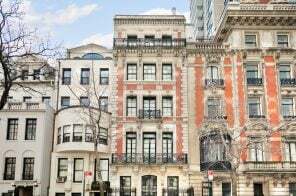 First lady Chirlane McCray and Deputy Mayor Alicia Glen announced on Wednesday plans to honor Billie Holiday, Elizabeth Jennings Graham, Dr. Helen Rodríguez Trías, and Katherine Walker with monuments. 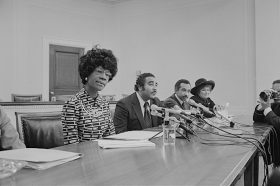 In November, the city announced it would commission a statue of Shirley Chisholm, the first black woman elected to Congress, to be built outside of the entrance to Prospect Park. 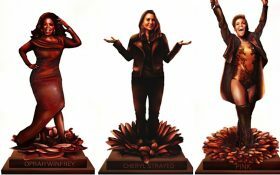 Ten bronze statues of inspiring women will be installed in New York City this summer as part of a project that hopes to address the lack of monuments of women in the city. Artists Gillie and Marc, the couple behind Astor Place’s 17-foot-tall rhino sculpture, on Thursday launched “Statues for Equality,” which aims to increase the number of statues of women in NYC by 200 percent. Currently, only five of the city’s 150 statues depict nonfictional women. Is the first statue of a woman in Central Park a racist representation or a good start? The official design of the first statue of non-fictional women in Central Park was unveiled last summer. 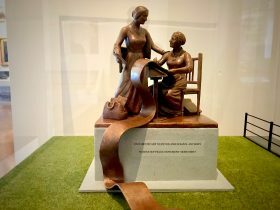 The statue, a sculpture of Elizabeth Cady Stanton and Susan B. Anthony, is set to be dedicated on August 18, 2020, marking the 100th anniversary of the passage of the 19th Amendment, which granted women the right to vote nationwide. 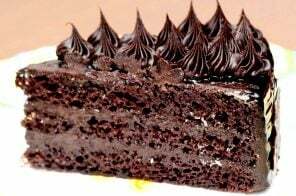 Terrific, right? Not completely. Because, as the New York Times informs us, some women’s rights advocates feel the statue doesn’t show the whole story. One complaint: Stanton and Anthony were white. 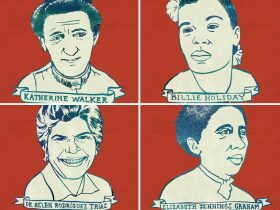 Included in the statue’s design, a list of women who aided in the cause contains a significant number of African-American women. 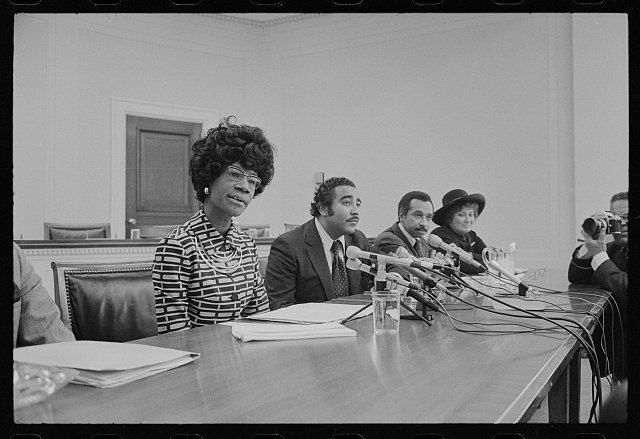 Why weren’t any of them chosen to be the face of women’s contributions to social equality? City officials announced on Wednesday an initiative aimed at bringing more commemorations of historic New York City women to public spaces. First lady Chirlane McCray and Deputy Mayor Alicia Glen are seeking ideas of women or events in women’s history that should be honored with monuments. The Department of Cultural Affairs has committed up to $10 million for the program, called She Built NYC!. “This is a first step to creating a public art collection that more accurately represents the diversity of New York City’s history,” McCray told NY1. 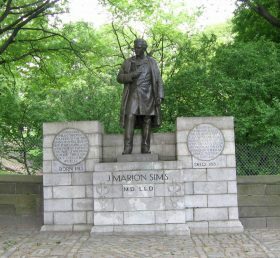 Statue of Dr. J. Marion Sims in Central Park. Image: Wikimedia Commons. 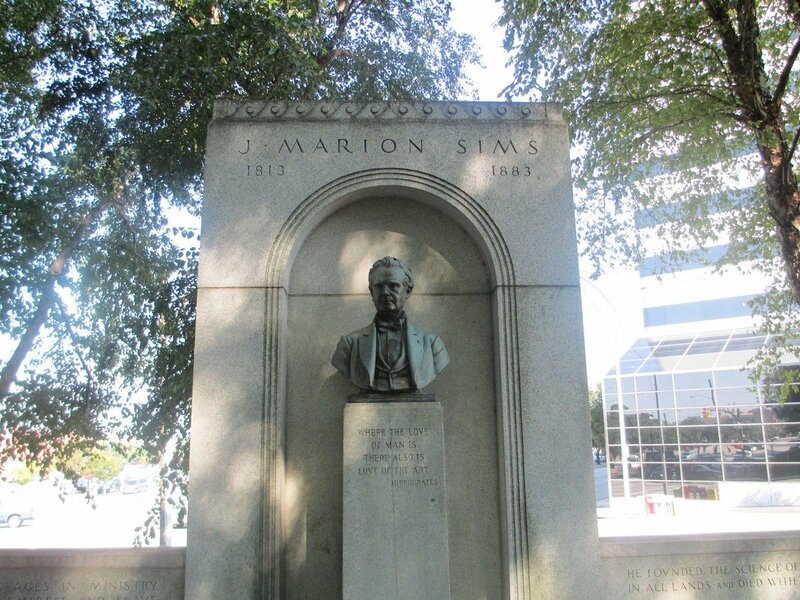 New York City’s Public Design Commission voted unanimously Monday in favor of removing a statue of 19th century surgeon J. Marion Sims from its Central Park pedestal, the New York Times reports. It was recommended that the statue of the controversial doctor, who conducted experimental surgeries on female slaves without their consent (and without anesthesia), be removed from its spot at 103rd Street in East Harlem after Mayor Bill de Blasio asked for a review of “symbols of hate” on city property eight months ago. 6sqft previously reported on the request by Manhattan Community Board 11 to remove the East Harlem statue of Sims, who is regarded as the father of modern gynecology. 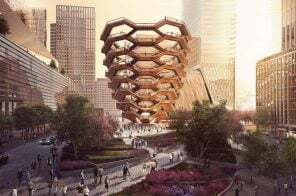 The statue, which will be moved to Brooklyn’s Green-Wood Cemetery where the doctor is buried, represents the city’s first decision to make changes to a prominent monument since the review. Fake news is always surrounding President Donald Trump and so is Stormy Daniels. Put those two together (fake & naked) and you’ve got the most recent news: an auction house based in California is selling a fake “Naked Trump” statue, unbeknownst to them. Reports out today claim one of the five original “Naked Trump” statues is going up for auction on May 2 at Julien’s Auctions at Mana Contemporary in Jersey City. But a representative from INDECLINE, the West Coast “Activist Art Collective” that created the artwork, adamantly denies that this is an original. As protest and debate sweep the nation over the toppling of statues, centered around well-known Confederate names like Robert E. Lee and Stonewall Jackson, here in New York City a lesser-known monument to medicine is in the spotlight for its offensive nature. 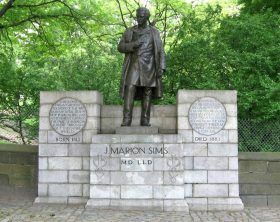 The New York Times reports that Manhattan Community Board 11 is calling upon the city to remove an East Harlem statue of a white, southern doctor, Dr. James Marion Sims. Regarded as the father of modern gynecology, Sims achieved his success by performing experiments on slaves without consent and without anesthesia.